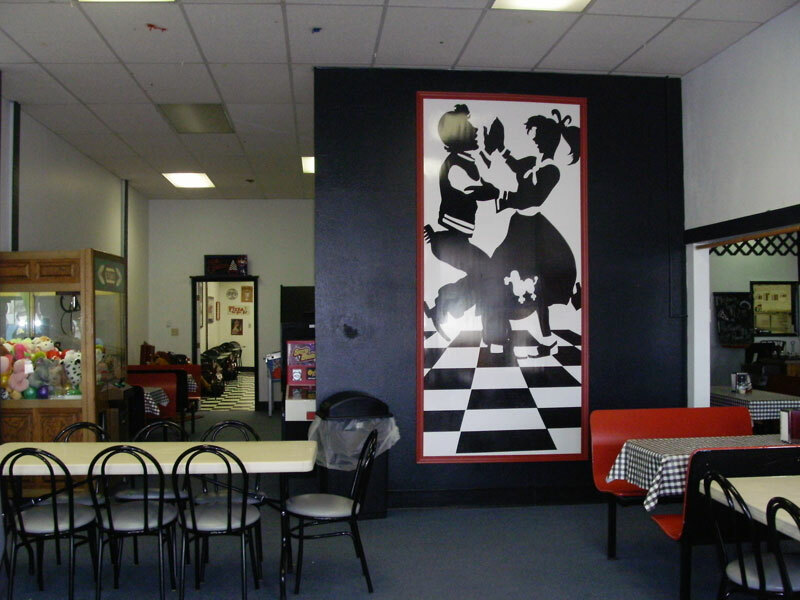 Join us for the Classiest Pizza Around! With our fresh dough made daily we offer the classic pizzas such as "The King" 10 topping combo pizza or "Labama Taco" along with Sally's Specialties like the "Johnny Cash" with grilled chicken and smoky mountain bbq sauce or "Sgt. Pepper" veggie delight. Combine these with our side car appetizers and sweet temptations for a complete palate pleasing experience. Check out our complete menu! 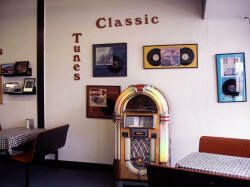 Dine in our 50's & 60's classic atmosphere and enjoy our cool car photos, silver screen memorabilia and jukebox or take advantage of our delivery starting at 11:00 am each day. 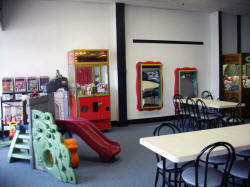 We also have a party room perfect for any occasion, games and a play area for the kids. Ready for dessert? Indulge in our Ice Cream Garage with soft serve and hand dipped ice cream. 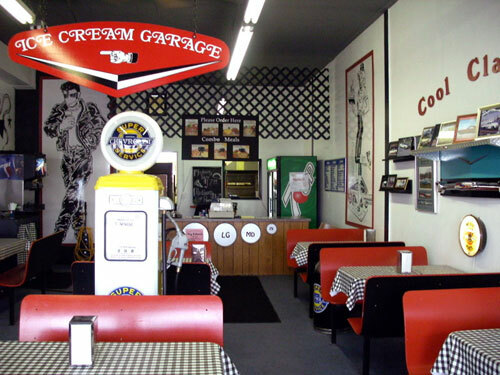 Belly up to the old fashion parlor counter to enjoy the perfect shake or malt, banana splits or dipped cones - your taste buds will thank you! Sally's also offers gift certificates and catering. Come visit us or call now to order - 347-2453!